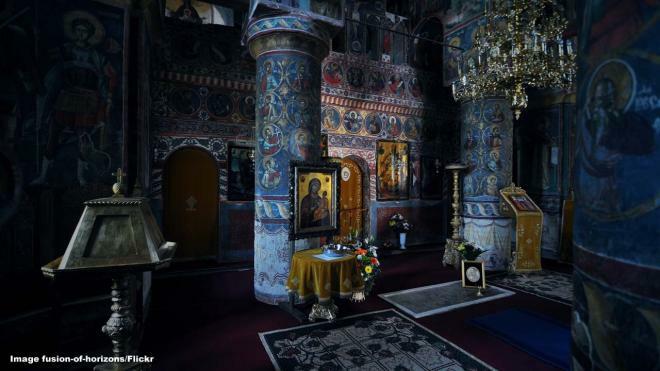 Enter the world of Vlad the Impaler, who inspired Bram Stoker's Dracula, while exploring unusual sights in Romania. Romania is a country that always brings to mind magnificent castles, medieval palaces and, of course, Vlad the Impaler, the brutal king who inspired Bram Stoker's character "Dracula." Romania's cities are a mix of modern and historic buildings as well as stunning architecture. The country naturally has a weirder side and offers unusual attractions to visit. Below we explore Vlad the Impaler's possible burial place, a castle where he may have been imprisoned, a mysterious Sphinx, the ruins of an opulent casino and a museum that celebrates everything that is kitsch. A tiny island lies just off Bucharest and is the home of Snagov Monastery, which local legends say is the burial place of Vlad the Impaler, who inspired Bram Stoker’s “Dracula.” The monastery dates back to the 14th century and it is unsure whether the brutal and cruel Vlad Tepes III was actually buried there. Historians have found human and horse bones on the site, but nothing to point to them belonging to Vlad, but it is still a fascinating place to visit. Constanța Casino was once a beautiful, Art Nouveau casino, but is now one of the country’s most beautiful abandoned buildings. The casino was commission in 1900 by King Carol I and opened to the public in 1910. 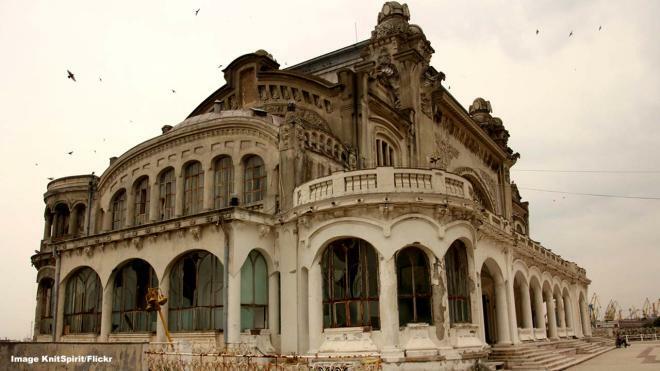 It overlooks the Black Sea on the waterfront of the ancient port town, but as circumstances in Romania worsened in the 20th century, the casino fell into disrepair. It was used briefly as a hospital in World War II and was at one time a restaurant, but now stands empty.